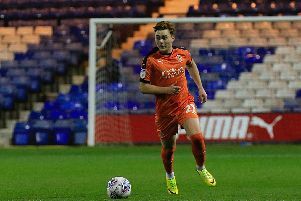 Luton Town have announced seven new first-year scholars who have joined the club’s U18s side for the new season. The new boys were part of a 14-strong Hatters squad who flew out to Italy early this morning to continue their preparations ahead of the 2018-19 season, as led by coach Inigo Idiakez, they will be staying at a training camp in Borgo Valsugana until Sunday, July 15. The latest recruits include James Holden, a Harpenden-based goalkeeper signed recently from Stevenage and was previously with Wingate & Finchley, plus full back Avan Jones, who joined the academy at the age of seven. Midfielder Lewis Swindells and striker Josh Boorn, both from Hemel Hempstead and have been with the club since the age of 13 are out there, as is midfielder Jonas Kalonda, the Stopsley schoolboy joining as an U8 in 2009. Finally, Lower Stondon-based midfielder Sam Beckwith, who has been with the academy since U8s is on the plane, along with left back Ricco Grecco from Aylesbury, who arrived as an U14. Academy & development manager Andy Awford said: “For the new boys, the hard work starts here. They know this is where the graft starts and they have to apply themselves on and off the pitch. “Last week we welcomed them into the club, together with their parents, to go through every detail of what’s expected of them as they progress from U16s to first-year scholars, and they get to have the official picture taken of them signing their forms. When out in Italy, the young Hatters will be playing three matches as well as taking Italian lessons, hiking, bike riding, lake swimming, visiting Venice on a day trip and going on other educational outings. Awford added: “It’s much more than just football training camp for the lads.